Media agency leaders expressed frustrations over the lack of understanding among client marketing and procurement teams of what it takes to run digital media-buying operations in the current environment. In a candid session at Advertising Week Europe yesterday, sore points included the high level of investment made by agencies compared to the level of fees paid by clients, marketer ignorance of how digital media works and of the impact of ad fraud, and clients trying to pre-emptively make agencies carry the bag for GDPR problems. M/SIX global chief executive Jessica Burley said: "There has to be a moment of truth that [digital media] actually costs more than you think it does. We need to explain that fully to our clients." There is a real cost to doing and staying on top of "data architecture", according to Burley, while M&C Saatchi Mobile global chief executive James Hilton referred to "data architeture" as the "piping" that he hoped clients would take more responsibility for understanding. "The professionalisation of our industry is happening but isn’t being acknowledged," said the M/SIX leader, who claimed the agency was having to hire PhD holders. She also described the number of exams the agency’s digital specialists take as "close to the number of exams that an accountant might sit", and pointed out they cost it as much as people who work for Accenture. "This stuff doesn’t cost an extraction rate of 3% or 5% on a media spend. It’s real cost," Burley said. "A pitch that says ‘I want [unit prices for media] better priced this year for next year and I want your cost to go down by 10%’ is unrealistic." Hilton added it would be "laughable" for clients to take operations in-house "in this environment when people need huge qualifications to run anything", echoing Burley’s argument that marketers taking operations in-house would find it "a really big burden". Ana Pak, global digital strategy and innovation lead at Vizeum, joined Burley and Hilton in hoping that agencies and industry bodies could help "educate" marketers. "There need to be qualifications, maybe from industry bodies, that set a level of standardisation," Pak said. "Anyone who has worked in digital marketing will have a few stories around trying to explain to clients, even today, what an impression is or how things are actually measured. On both [agency and client] sides that bar needs to come up." Hilton argued that everyone – agencies, brands and publishers – has "got to unite" and "move forward together", but was also clear that this meant brands accepting paying more for advice. "We need to make sure the people who understand data are also going to work in procurement jobs and understand exactly what we’re doing and what we’re coming up against," Hilton said. "[Working out] the best way to spend digital budgets takes a lot of expertise – and that expertise is consultancy expertise, it’s having a fully-baked fee. If you want to buy just media, you pay x. If you want to buy strategy you pay for it, or we put the percentage up a bit. "We need to help brands to move along towards where we agencies know the ecosystem is going, because if we don’t do this together that’s when we have arguments, that’s when we start falling out." Another topic of concern was ad fraud, which panel chair, OpenX vice-president, partner services, Gavin Stirrat, said was bamboozling some players into misallocating spend. "All of us [on the panel] are keen on beating ad fraud," he said, "but the people who are not are actually optimising towards ad fraud because the results they’re seeing are so positive that they say ‘that’s working, I’ll move all my money there’. Ad fraud turns it all upside-down and you spend more money buying bad stuff than you do good stuff." However, chief marketing officers who don’t make the effort to understand digital media are not doing anything to mitigate the problem, Burley pointed out. "Leaders aren’t getting involved and saying ‘why am I KPI-ing my team based on metrics that aren’t correct?’," she said. 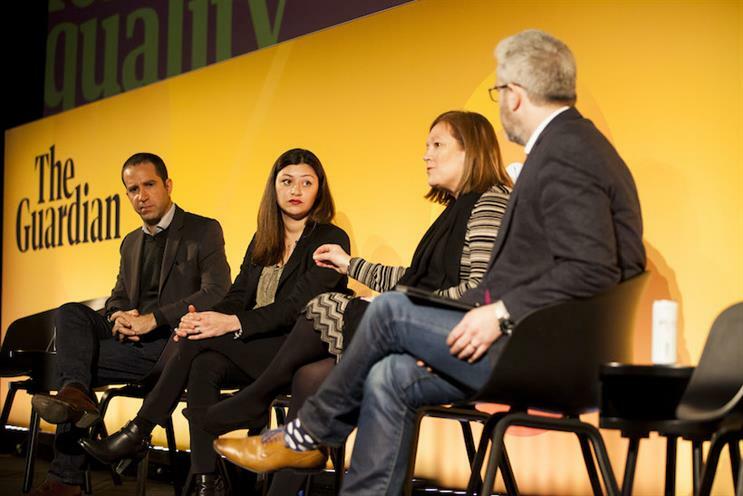 The session – titled "The Agency Perspective: Rebuilding Advertiser Trust in Digital" – also touched on GDPR, with another rebuke to clients from M&C Saatchi Mobile’s Hilton. "We’ve had a couple of clients, some very well-known companies, they’ve basically just sent us a contract and gone ‘look, GDPR, if we ever get any problems we’re going to turn around and blame it all on you’." The agency did not sign the contract. "We have a responsibility to try and guide our clients, but I find agencies taking the responsibility a little too far off the mark," he said.